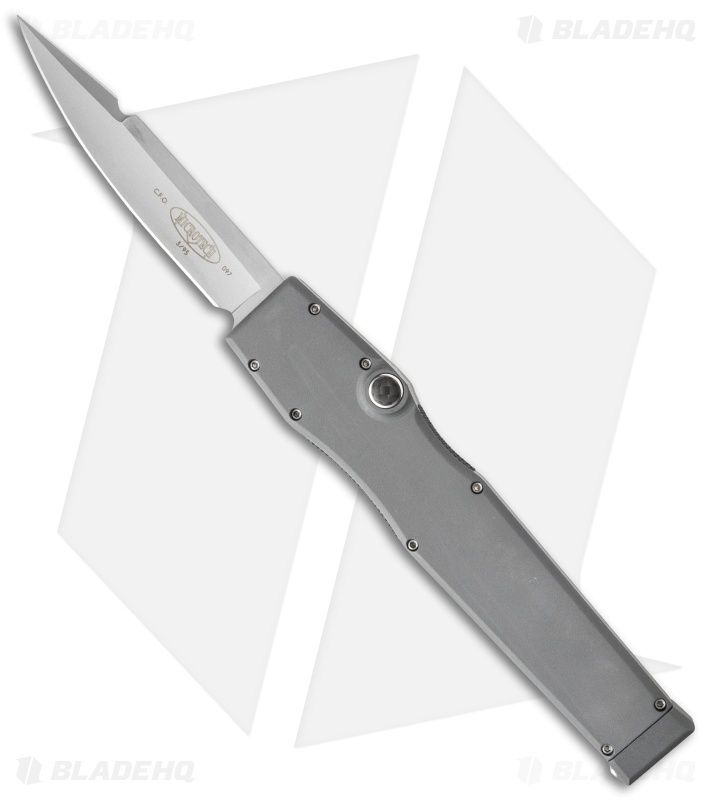 This rare Microtech CFO was acquired through a collector and is dated 3/95 and serial # 097 on the blade (see picture above). This knife is in mint condition with original papers! 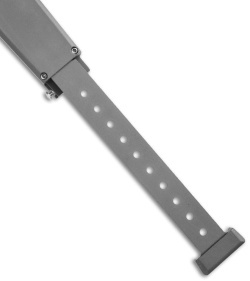 The CFO features a bead blast finished ATS-34 stainless steel blade with a sharpened upper edge. The blade on this single action out-the-front automatic knife fires with a push of the front mounted firing button and is released by pushing the button, followed by a pull of the charging handle at the base. 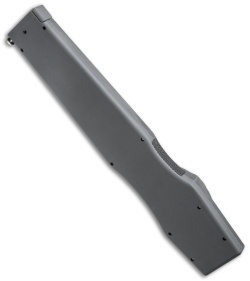 The aluminum handle features grip inserts at the grooves. In addition, this model features a carbon fiber firing button insert!